Google Play Update makes it more awesome. 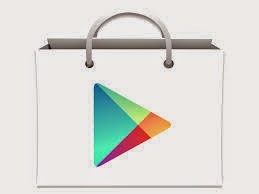 Google play which currently has 1.5 million apps has came up with a new update. The news was confirmed in Google's latest blog. The new update will led to the introduction of indexing of apps, wearable services, dynamic security provider and much more. The update will enhance your gaming, movie, video experience. The update will give user new wearable’s sets and also increases persistent data storage. It will also update the security features in the apps and also helps an individual to customize certain things in app like game level change. The latest update is developer series API which will increase customer experience in every aspect. It will also help user in syncing data more efficiently and also data storage has been increased from previous versions. It came with a concept of "Quest" API which will give user the opportunity to set their own challenges in various places. The app also includes streamline of operations which will lead to uninterrupted services. The new update will be 5.0 which was unveiled recently in Google IO held in San Francisco. Google play has increased its customer base by many folds and latest addition and update to this will add many more in the coming years to come with more satisfactory results.